and a spark to passion. The beautiful morainic hills of the Southern part of Lake Garda around the Cavriana area were scene to major battles and historical meetings; people such as Isabella d'Este, Napoleon III and Charles De Gaulle have walked among the cypress trees and vineyards; and here the Italians fought for their independence. Today, the soft slopes give the landscape an undulating and gentle appearance, a few steps from Lake Garda; the medieval towers and ancient villages sprout among the hills, relating to important people and events from the past. To tell a story that goes back more than 90 years a book would not be enough. 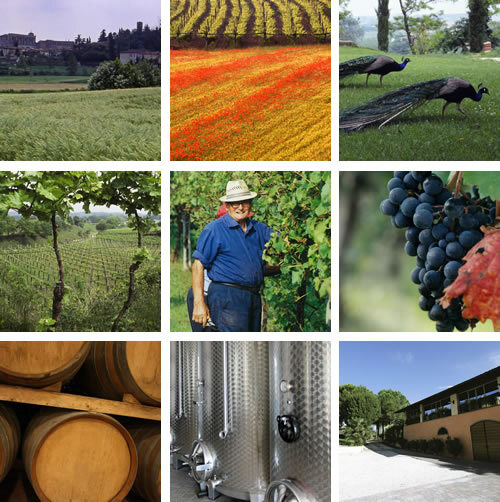 But at the Cattani Agricultural Company, with a strong family tradition that has been handed down over the generations, serve only a few lines to witness the close relationship they have with their land. 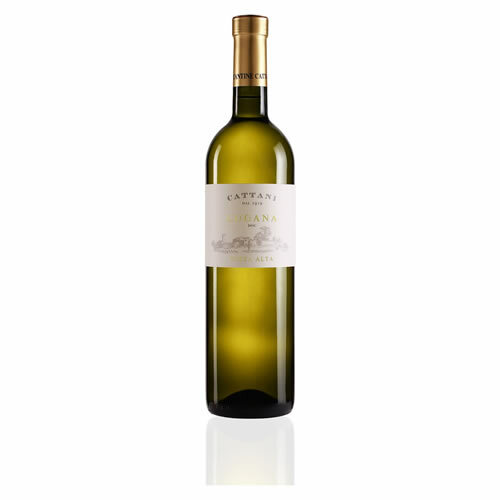 It is here, among the green morainic hills, that the Cattani Agricultural Company cultivates its vineyards, respecting the old tradition but at the same time using modern technology. The result is a selection of wines that are pure poetry. Paretaio, Riarso, Vigna Noble: the Cattani vineyards have names such as the ancient land around them. Distributed on the hills, about 120 metres above sea level, overlooking the land of Gonzaga, on the border between the provinces of Mantua, Brescia and Verona. The vineyards are selected among the most well-known varieties, to give the best from the morainic land which is of glacial origin in the Southern part of Lake Garda. Cultivated for centuries with stubbornness and perseverance, gives life to a green and exuberant hilly landscape, witness to a generous land. 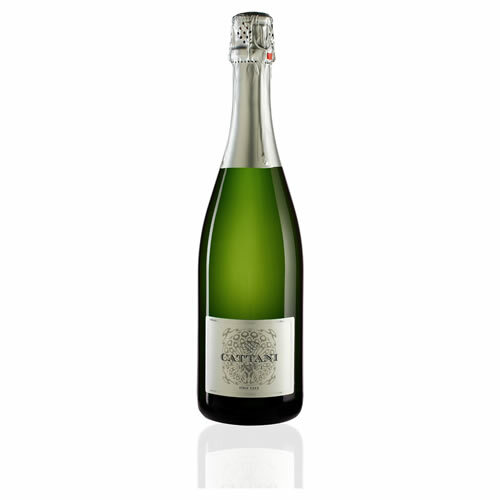 The heart of the Cattani winey is a fresh and moist cave cut out of stone: during the war they used the cave to hide wine, oil and precious goods. Today the small cave has become the barrel room. The sheds was used to leave goods and chattels, now accommodate the modern sto-rage and production equipment for grapes. The old barns have been converted into comfortable environments for groups of tourists and friends. 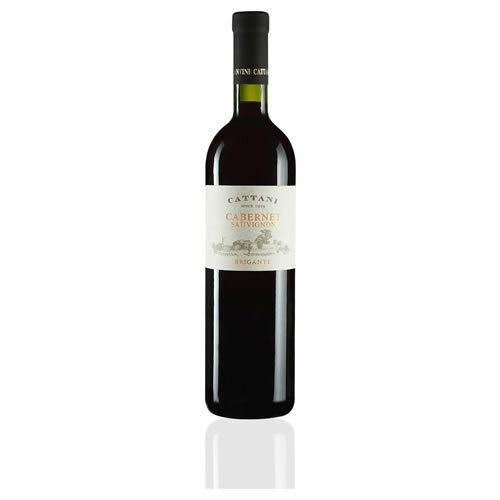 Visiting the Cattani winery, so rich in history, is like rediscovering ancient lost sites. Inland Garda is unique. The gentle hills permit exposure to the sun throughout the entire day; and the air currents coming from the plains of Padua and Lake Garda, create the perfect climate for cultivating grapes. The morainic earth, partly rocky and partly clay, has required considerable efforts from man, but now, after centuries of cultivation, the landscape is full of vineyards, almond trees, cherry trees, olive trees, orchards and cypresses. Only the palm trees and oleanders, along the driveway of the Cattani winery, can tell of distant lands. The grape harvest is still the most precious and delicate moment of the winery: it is here that the choices of man and nature made throughout an entire year show their result. In the early hours of the morning, old and new friends meet up to gather the grapes still using the old tradition: the bunches of grapes are harvested one by one, by hand, placed in small boxes and transported quickly to the winery. The grapes are then placed in the cooling cell at a controlled temperature until the moment of wine pressing and processing. Non utilizziamo cookies di profilazione nel nostro sito. Non tracciamo in alcun modo le preferenze dei nostri visitatori. Ti invitiamo a farci visita presso la nostra cantina. 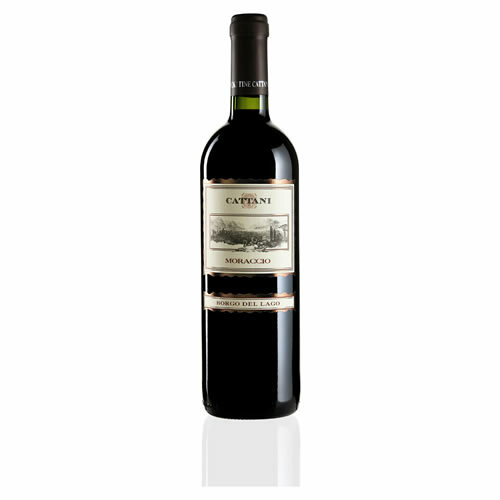 Variety: 50% Cabernet Sauvignon, 50% Cabernet Franke. Production zone: Garda; old vineyard of property planted in 1990 with personally selected vines. Located in Cattani estate at South side of Lake Garda. Sits at 190 m above sea level. Soil: Morainic-calcareous, exposure from the East to West. Harvest: Late, manual, with strict selection of the grapes in the vineyard. Yield per hectare: 60 q/Ha of grapes. Harvest time: Second decade of October. Vinification: Maceration for 718 days at a controlled temperature between 28 and 30°C with frequent repassing of must over lees stainless steel tanks. Wine is drawn and fermentation concludes after about IO days. Malolactic fermentation takes pIace in wood. 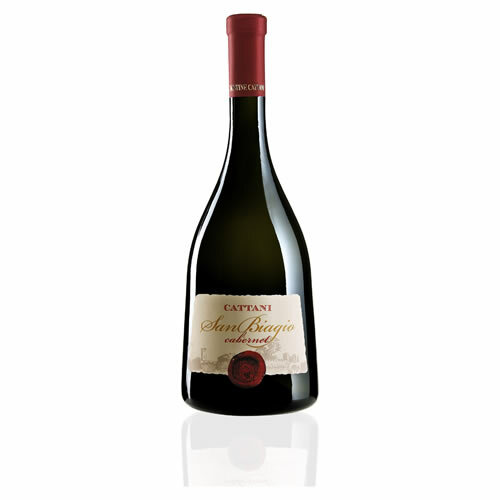 Maturation: Kept for about 18 months in Barriques made of oak from Allier of 20 hl capacity. Kept in the bottI e for another 12 months before release. Bottling: First decade of March. Sensory characteristics: Deep red color with purple hues, the nose expresses its fullness and the range of aromatic hints that ranging from berries to wild flowers. On the paIate, warm, soft and persistent with tannicity. Average life of Wine: Wine with good aging. Fabulous even after 8 years. Food matches: Only the most tasty and appetizing dishes can accompany this wine: aged cheese, pork, pappardelle and wild boar, can give the right expression. Net dry extract: 37 g/l. Total sulfur dioxide: 80 mg/l. Soil: Morainic-calcareous. exposure from the East to West. Yield per hectare: 70 q/Ha of grapes. Harvest time: First decade of October. Vinification: Maceration for 7/8 days at a controlled temperature between 28 and 30°C with frequent repassing of must over lees stainless steel tanks. Wine is drawn and fennentation concludes after about IO days. Malolactic fermentation takes piace in wood. Maturation: Kept in Barriques made of oak from Allier of 20 hl capacity. Kept in the bottle for another 12 months before release. Sensory characteristics: Intense ruby red color with intense reflections, at nose a diverse range of aromas, ranging from wildflowers to the berries, full-body, slightly tannic and persistent on the paiate. Average life of Wine: Wine with good aging. Fabulous even after 7 years. Food matches: Indicated for first traditional courses, risotto, ravioli with meat sauce, salami and cheeses, it matches well with of pork and game. Net dry extract: 36 g/l. 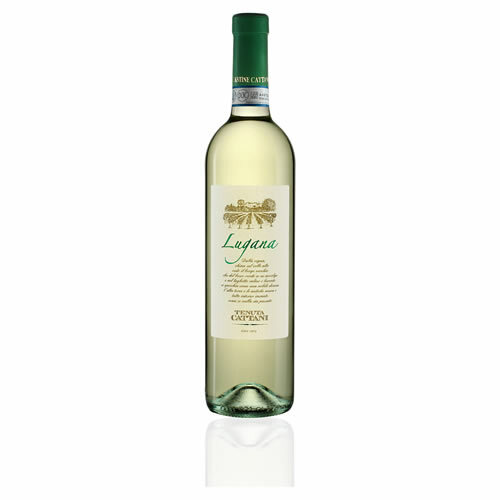 Variety: 100% Trebbiano of Lugana. Production zone: Garda; old vineyard of property planted in 1998 with personally selected vines. Cattani estate located in the South part of Lake Garda. Sits at 170 m above sea level. Yield per hectare: 75 q/Ha of grapes. Harvest time: Second decade of September. Vinification: Destemmed and pressed. Allowed to settle for 1/2 days. Drawn off and fermented at a controlled temperature between 15/ 16°C for about 15 days in stainless steel. Maturation: Kept for malolactic fermentation on lees for about one month at low temperatures and frequent stirring of lees. Drawn off and aged again in wood for another 4/5 months in barrels made of oak from Allier. Kept in the bottle for 2/3 months before release. Bottling: Last decade of the April. Sensory characteristics: Straw color, ripe and intense with bright golden hues, the nose is animated by a correct pungent and fresh mineralization with floral notes and gentle hints of hazelnut. 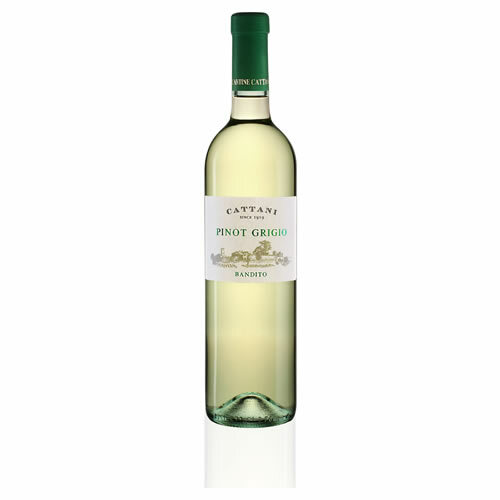 On the palate is firm and creamy, very inviting for notes of ripe fruit (apricot and peach) and the mineral contrast, the after·taste is full·bodied and fresh. Average life of Wine: Wine with good aging. Fabulous even after 6 years. Food matches: Ideal as an aperitif, it matches well with appetizers, seafood, blue cheeses, white meats and red medium baking. Net dry extract: 28 g/l. Harvest: Manual, with strict selection of the grapes in the vineyard. Yield per hectare: 95 q/Ha of grapes. Harvest time: First decade of September. Vinification: Destemmed and pressed. Allowed to settle for 1/2 days. Drawn off and fermented at a controlled temperature between 15/16°C for about 15 days in stainless steel tanks. Maturation: Kept for malolactic fermentation on lees for about one month at low temperatures and frequent stirring of lees. Drawn off and aged again or another 4/5 months. Kept in the bottle for 2/3 months before release. Bottling: First decade of the April. Sensory characteristics: Golden yellow color with bright highlights, at nose has pleasant hints of orange blossoms wlth grass light hints and fresh fruits, a pleasant sensation of mineraI and flint. At taste is fresh and balanced with a long lasting on the palate. Average life of Wine: Wine to con su me within four years. Food matches: Is ideal for: raw fish and stewed fish, vegetable soups, boiled meat, fresh cheese, poultry. Net dry extract: 25 g/l. Production zone: Garda; old vineyard of property planted in 1980 with personally selected vines. Located in Cattani estate at South side of Lake Garda. Sits at 190 m above sea level. Soil: Sandy·calcareous with day (20%), exposure from the North to South. Maturation: Kept for malolactic fermentation on lees for about one month at low temperatures and frequent stirring of lees. Drawn off and aged again in wood for another 6/7 months. Kept in the bottle for 2/3 months before release. Sensory characteristics: Obtained from selected single·variety Merlot grapes. 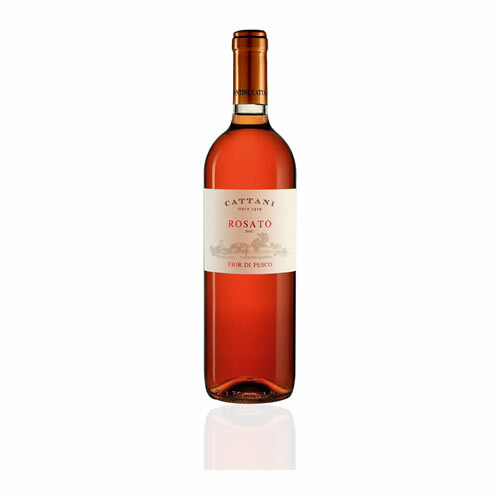 Delicate red color with bright highhghts, bring to mind scent of almond and peach blossoms in spring, on the paiate is crisp and lean with an incisive aftertaste of raspberries. Average life of Wine: Wine to consume within three years. Food matches: Suitable for appetizers, risotto with vegetable, white meat, raw meal and cheeses of medium seasoning. Net dry extract: 26 g/l. Variety: 40% Cabernet Sauvignon, 40% Cabernet Franke. 20% Merlot. Production zone: Garda; old vineyard of property planted in 1990 with personally selected vines. Located in Cattani estate at South side of Lake Garda. Sits at 190m above sea level. Vinification: Maceration for 7/8 days at a controlled temperature between 28 and 30° C with frequent repassing of must over lees stainless steel tanks. Wine is drawn and fermentation concludes after about 10 days. Malolactic fermentation takes place in wood. Maturation: Kept in for about 6 months in Barriques made of oak from Allier of 20 hl capacity. Kept in the bottle for another 18 months before release. Sensory characteristics: Ruby red. tending to garnet-red, bouquet ranging from tobacco to vani Ila remembering the sweetness of chocolate with a finish of ripe peppers. On the paiate full-bodied and harmonious thanks to its aging with good flavor laden. Average Iife of Wine: Wine with good aging. Fabulous even after 8 years. Food matches: Is particularly indicated for pasta with game or alternatively with red meats and spicy dishes, or in combination of chesses of ditch. Production zone: Garda; old vineyard of property planled in 1980 with personally selected vines. Located in Cattani estate at South si de of Lake Garda. Sits at 190 m above sea level. Soil: Sandy-calcareous with clay (20%), exposure from the North to South. Harvest time: Third decade of September. Vinification: Maceration for 7/8 days al a controlled temperature between 28 and 30°C with frequent repassing of must over lees in stainless steel tanks. Wine is drawn and fennentation concludes after about IO days. Malolactic fermentation takes piace partly in steel and partly in wood. 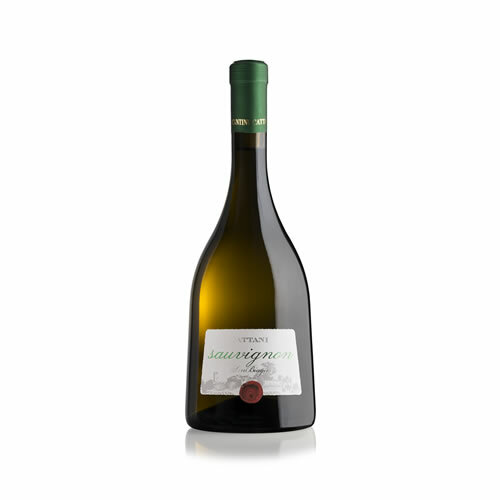 Maturation: In steel and, for a moderate amount of lime, also in Barriques made of oak from Allier. Bottled in Spring. Bottling: First decade of April. Sensory characteristics: Obtained from selected single-variety Merlot grapes. Bright ruby red color, intense and vari ed bouquet, semi-dry and rightly tannic , full bodied, nicely harmonic. Average life of Wine: Wine with good aging. Fabulous even after 5 years. Food matches: Indicated for risotto and pasta with meat sauce, if aged, with poultry and game. 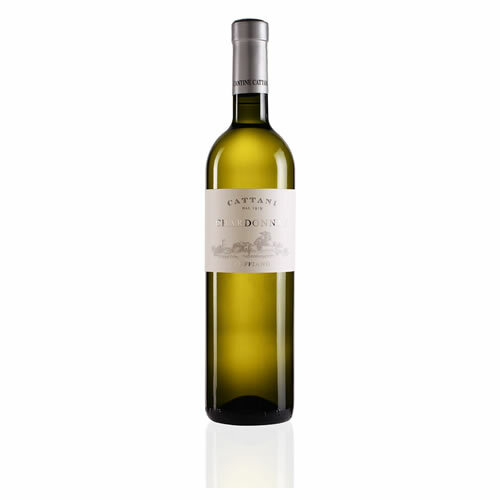 Variety: 40% Trebbiano, 40% Garganega, 20% Cortese. Production zone: Garda; old vineyard of property planted in 1995 with personally selected vines. Cattani estate located in the South part of Lake Garda. Sits at 180 m above sea level. Yield per hectare: 80 q/Ha of grapes. Vinification: Destemmed and pressed. Allowed to setti e for 1/2 days. Drawn off and fermented at a controlled temperature between 15/16°C for about 15 days in stainless steel. Maturation: Kept for malolactic fermentation on lees for about one month at low temperatures and frequent stirring of lees. Drawn off and aged again in wood for another 4/5 months. Kept in the bottle for 2/3 months before release. Bottling: Last decade of March. 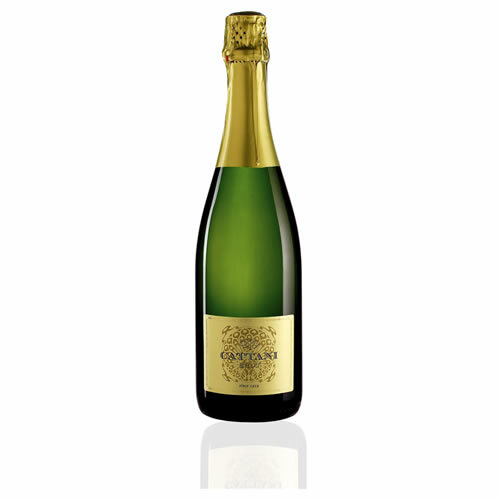 Sensory characteristics: Yellow color with bouquet of peaches and apples, with pleasantly and delicate notes, it results soft and sweet with an excellent structure that gives a persistence on the palate. Food matches: Excellent with rice, it combines nicely with white meat dishes, fish and dry pastry. Net dry extract: 23 g/l. Total sulfur dioxide: 78 mg/l. Production zone: Garda; old vineyard of property planted in 1991 with personally selected vines. Cattani estate located in the North part of Lake Garda. Sits at 180 m above sea level. Soil: Sandy-calcareous with c1ay (20%), exposure from the North to South. Yield per hectare: 110 q/Ha of grapes. Vinification: Destemmed and pressed. Allowed to settle for 2/3 days. Drawn off and fermented at a controlled temperature between 15116°C for about 15 days, kept in stainless steel tank until end of fermentation. Maturation: Kept for malolactic fermentation on lees for about one month at low temperatures and frequent stirring of lees. Drawn off and aged again in wood for another 4/5 months. Kept in the botti e for 2/3 months before release. Bottling: First decade of the month. Sensory characteristics: Straw-yellow color with copper-colored retlections; bouquet of fresh fruit and plant notes, in particular with hints of nettle and yeast. 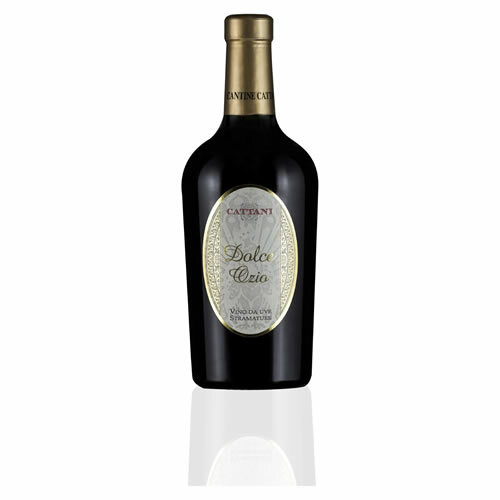 On the palate is soft and sweet, balanced and hannonious by pleasant after-taste. Average life of Wine: To consume within four years. 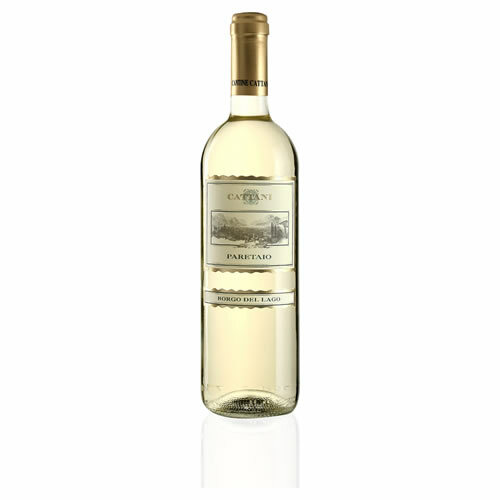 Food matches: Its particular freshness make this wine suitable for dinners of raw or stewed fish base. Ideai as an accompaniment to delicate appetizers, soups, cocktails, or in combination with dry pastries. Net dry extract: 24 g/l. Total sulfur dioxide: 85 mg/l. Production zone: Garda; old vineyard of property planted in 1987 with personally selected vines. Cattani estate located in the south part of Lake Garda. Sits at 170 m above sea level. Vinification: Destemmed and pressed. Allowed to settle for If2 days. Drawn off and fermented at a controlled temperature between 15f16°C for about 15 days in stainless steel tanks. Maturation: Kept in steinless steel tank for malolactic fermentation on lees for about one month at low temperatures and frequent stirring of less. Drawn off and aged again for another 3/4 months. Kept in the bottI e for 2/3 months before release. Sensory characteristics: Vivid yellow color, gold, tropical nose of citrus, grapefruit, banana and sweet oak. Fat, powerful and fresh with a long after-taste. 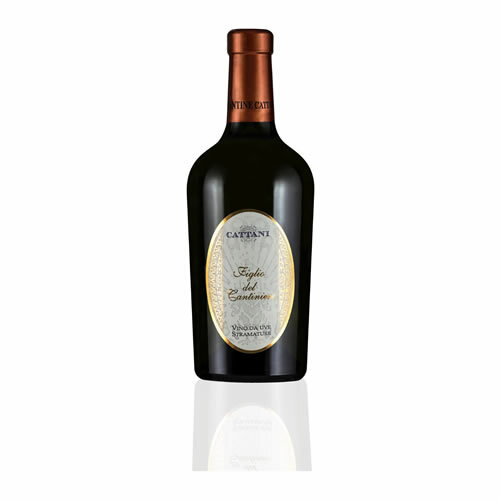 Food matches: Given its substantial structure, this wine pairs particularly well with range of dishes, from chicken galatine, seafood antipasti, crustacean first courses, soups (Iike cream of mushroom, potatoes and leeks), salads or cold dishes featuring with meat. Excellent with fish. Net dry extract: 22 g/l. Production zone: Garda; old vineyard of property planted in 1980 with personally selected vines. Cattani estate located in the south part of Lake Garda. Sits at 180 m above sea level. Soil: Gravelly medium dough, exposition from East to West. Harvest time: Last decade of August. Vinification: Destemmed and pressed. Allowed to settle for 1/2 days. Drawn off and fermented at a controlled temperature between 15/16°C for about 15 days in stainless steel. Maturation: Kept for malolactic fermentation on less for about one month at low temperatures and frequent stirring of less. Drawn off and aged again in wood for another 6/7 months. Kept in the bottle for 2/3 months before release. Sensory characteristics: Golden yellow color, slightly coppery, distinctive fragrant scent of flowers and notes of yeast, semi-dry, full and harmonious by savory after-taste. Food matches: Excellent with rice, it combines nicely with appetizers, soups with vegetables, boiled meat, baked fish, fish with sauce and shellfish. Net dry extract: 29 g/l. Production zone: Garda; old vineyard of property planted in 1982 with personally selected vines. Located in Cattani estate at West side of Lake Garda. Sits at 195 m above sea level. Soil: Stony, gravelly with exposure from the East to West. Yield per hectare: 100 q/Ha of grapes. Vinification: Maceration for 7/8 days at a controlled temperature between 28/30°C with frequent repassing of must over lees in stainless steel tanks. Wine is drawn and fermentation concludes after about 12 days. Malolactic fermentation takes pIace partly in steel and partly in wood. Maturation: In steel and, for a moderate amount of time, also in Tonò made of Slovenian oak. Bottled in Spring. Sensory characteristics: Obtained from selected single-variety Cabernet Sauvignon grapes. 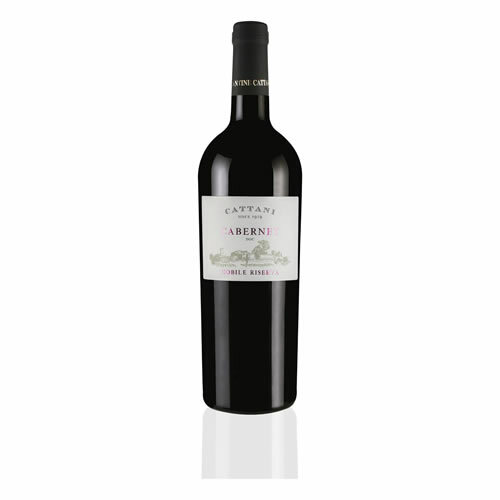 Intense red color with violet hues, the bouquet slightly grassy, ethereal and pleasant, rightly acid and tannic, full bodied of austere and velvety. Average Iife of Wine: Wine with good aging. Fabulous even after 7 years. Food matches: Indicated for roasted beef courses, cold cuts, game. Production zone: Garda; old vineyard of property planted in 20 I O with personally selected vines. Cattani estate located in the South part of Lake Garda. Sits at 110m above sea level. Yield per heetare: 110 q/Ha of grapes. Vinification: Destemmed and pressed. Allowed to settle for 1/2 days. Drawn off and fermented at a controlled temperature between 15/16°C forabout 15 days in stainless steel tanks. Maturation: Kept for malolactic fermentation on lees for about one month at low temperatures and frequent stirring of lees. Drawn off and aged again for another 4/5 months. Kept in the bottle for 2/3 months before release. Sensory characteristics: Golden yellow color with bright reflections; a nise has pleasant hints or citruses and fresh fruit, a pleasant sensation of mineral. At taste is fresh and balanced with a long lasting on the palate. Average life of Wine: Wine to consume withing three years. Food matches: Its delicate and light flavour make it the perfect companion with a wide range of dishes from hors d'oeuvres to fish. Net dry extract: 21 g/l. Production zone: Garda, old vineyard of property planted in 1992 with personally selected vines. Located in Cattani estate at West side or Lake Garda. Sits al 170m above sea leve!. Yield per hectare: 60 q/Ha or grapes. Harvest time: First decade of November. Vinification: Maceration for 20 days at a controlled temperature betwecn 10/11°C with saturation of CO2 in stainless steel tanks. Wine is drawn and fermentation concludcs after aboul 10 days. Malolactic fermentation takes place in steel. Maturation: In steel. Bottled in Spnng. Bottling: First decade or April. Sensory characteristics: Obtained from selected single-variety Garganega grapes. Deep yellow color with golden hues, hints of acacia honey, yeast, bread crust and vanilla. On the palate is warm and enveloping. Food matches: A wine for meditation, deserving simple settings such as dry fruits, chocolate or fruit tart. Ideal for aged cheeses. Alcohol: 14 + 2% vol. Production zone: Garda, old vineyard of property plantcd in 1995 with personally selected vines. Located in Cattani estate at West side of Lake Garda. 5its al 170m above sea level. Yield per heclare: 60 q/Ha of grapes. Vinification: Maceration for 20 days at a controlled temperature between 10/11° C with saturation of CO2 in stainless steel tanks. Wine is drawn and fermentation concludes after about 10 days. Malolactic fermentation takes place in steel. Bottling: Last decade of April. Sensory characteristics: Obtained from selected single-variety Shirà grapes. Purple red color, the bouquet progressively more complex until find hints of dried fruit and jam, unique characteristics is the scent of strawberry. On the palate is fleshy, full and incredibly rich with sweet notes well mixed with good acidity. Food matches: A wine for meditation, deserving simple settings such as dry fruits. chocolale or pastry. The pairing with game is bold but fascinating. Net dry extract:: 40 g/l. Production zone: Garda; old vineyard of property planted in 1980 with personally selected vines. Located in Cattani estate at South side of Lake Garda. Sits at 190m above sea level. Yield per hectare: 90 q/Ha of grapes. Vinification: Destemmed and pressed. Allowed to settle for 1/2 days. Drawn off and fermented at a controlled temperature between 15/16° C for about 15 days in stainless steel tanks. Maturation: Kept for malolactic fermentation on lees for about one month at low temperatures and frequent stirring of lees. Drawn off and aged for another 3 months the wine is kept for further 60 days in autoclave for become bubbly. Kept in the bottle for one month before release. Sensory characteristics: Obtained from selected single-variety Merlot grapes. Peach color with bright highlights, recalls the scent of wild flowers, ripe fruit and citrus. Soft and fresh on the palate enhanced by a light fizz. Food matches: As an aperitif, appetizers meat, delicate soups, boiled beef or chicken, soups, fish, cold cut or shellfish. Net dry extract:: 23 g/l. Production zone: Garda; old vineyard of property planted in 1983 with personally selected vines. Located in Cattani estate at South side of Lake Garda. Sits at 180m above sea level. Sensory characteristics: Obtained from selected single-variety Riesling grapes. Straw yellow with greenish hues, intense aroma, fresh and persistent with a broad hint of ripe fruit and wild flowers, with a delicate hint of yeast. On the palate is clean and balanced with a delicate and pleasant aftertaste of seasonal fruit and crusty bread. Food matches: Ideal as aperitif, appetizers, raw or stewed fish, grilled vegetables, fresh cheeses, white meats, dry pastry. Variety: Chardonnay 50%, Pinot Nero 50%. Production zone: Garda; old vineyard of property planted in 1990 with personally selected vines. Located in Cattani estate at South side of Lake Garda. Sits at 160 m above sea level. Harvest time: Second decade of August. Maturation: Kept for malolactic fermentation on lees for about one month at low temperatures and frequent stirring of lees. Aged for 2 years in bottle with yeasts. Follows disgorgement, topped up with liqueur. Kept in the bottle for further two month before release. Sensory characteristics: Golden yellow with shades of bright, the bouquet is fresh, pleasant and persistent of honey, spring flowers with a distinct hint of yeast. On the palate is delicate, fragrant and coiling with an excellent roundness. Golden yellow with shades of bright, the bouquet is fresh, pleasant and persistent of honey, spring flowers with a distinct hint of yeast. On the palate is delicate, fragrant and coiling with an excellent roundness. : 8/10° C.
Average life of Wine: Wine to consume within seven years. Food matches: Ideal as accompaniment to desserts, exotic fruits and dry pastry. Sensory characteristics: Obtained from selected single-variety Moscato. Yellow color with bright highlights, the scent of wildflowers, ripe fruit and vanilla. 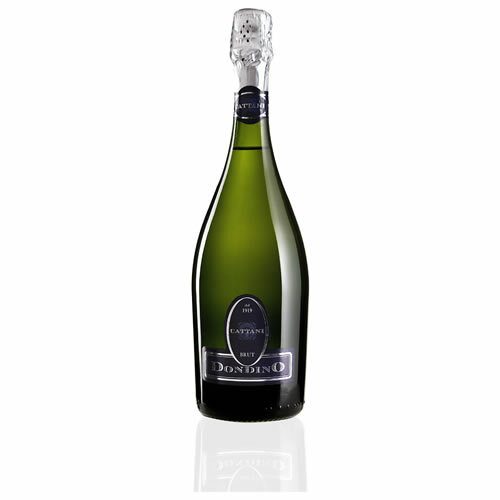 Sweet, soft and fresh on the palate is enhanced by a light fizz. Variety: 40% Merlot, 40% Cabernet Sauvignon, 20% Rondinella. Production zone: Garda; old vineyard of property planted in 1990 with personally selected vines. Located in Cattani estate at West side of Lake Garda. Sits at 170 m above sea level. Soil: Sandy-calcareous with clay (20%), exposure from the East to West. Vinification: Maceration for 7/8 days at a controlled temperature between 28 and 30°C with frequent repassing of must over lees in stainless steel tanks. Wine is drawn and fermentation concludes after about 10 days. Malolactic fermentation takes place in wood. Maturation: In steel tanks for about 5 months, kept in bottle for another 2 months. Sensory characteristics: Ruby red with purple hues, intense bouquet with notes of raspberries and wild berries, fragrances of spices and wild flowers. 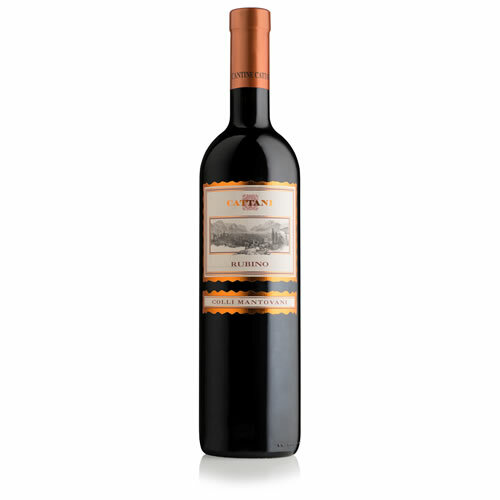 On the palate a good tannic balance, which enhances its fullness giving high complexity of its structure. Average life of Wine: Wine with good aging. Fabulous even after 4 years. Food matches: Indicated as accompaniment with tasty dishes, pasta, lasagna, risotto with meat, medium aged cheeses, cold cuts, roasts, grills, game and spicy dishes. Net dry extract: 32 g/l.